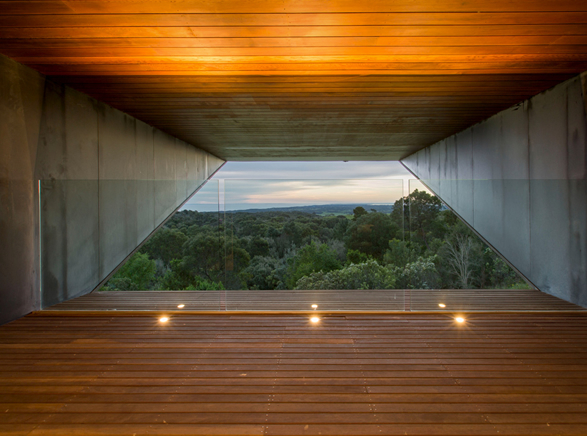 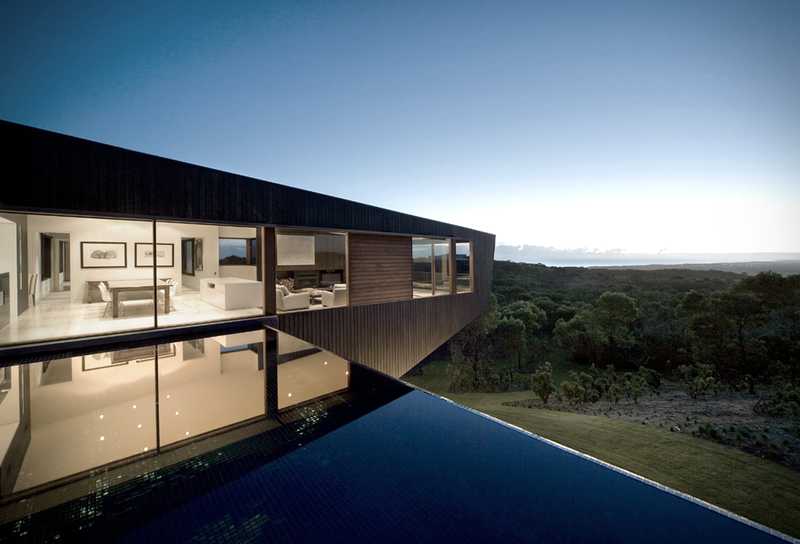 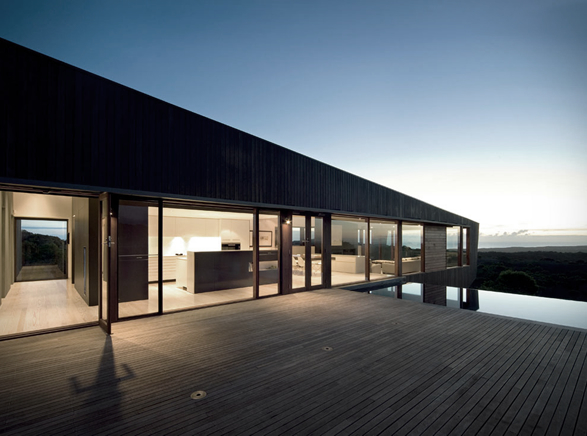 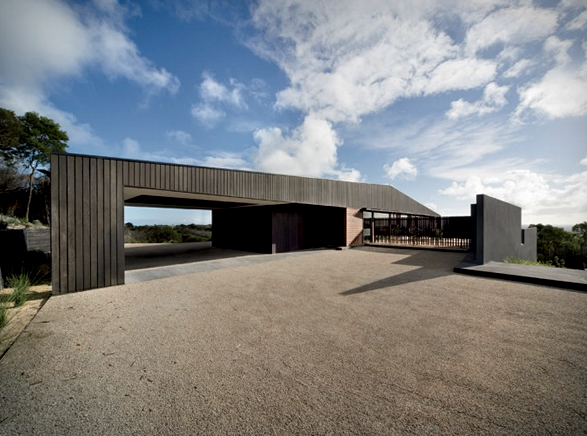 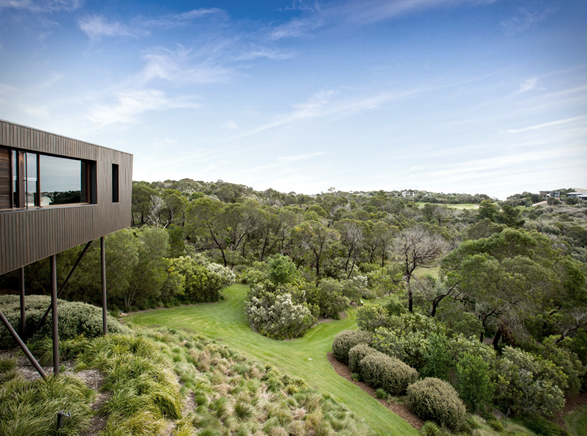 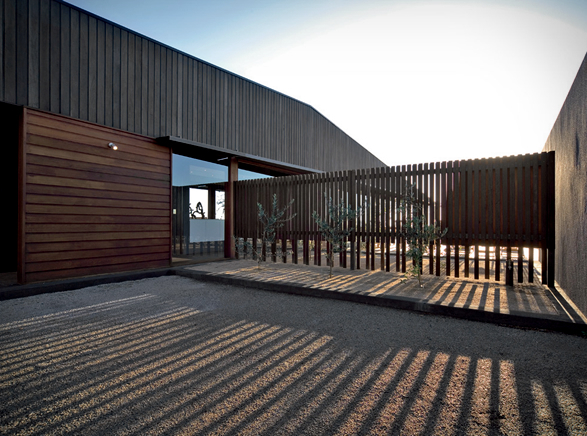 The Cape Schanck House is a unique and adventurous project by Melbourne-based architecture studio Jackson Clements Burrows. 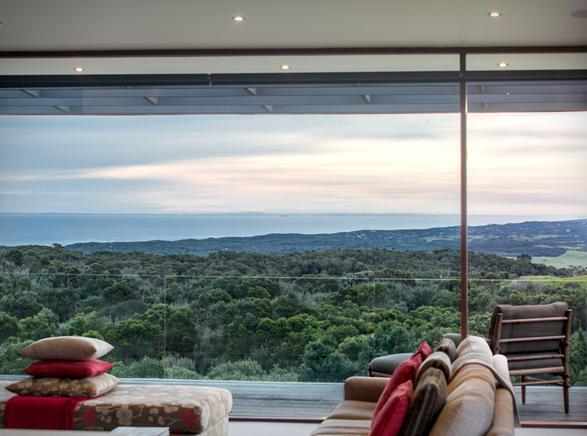 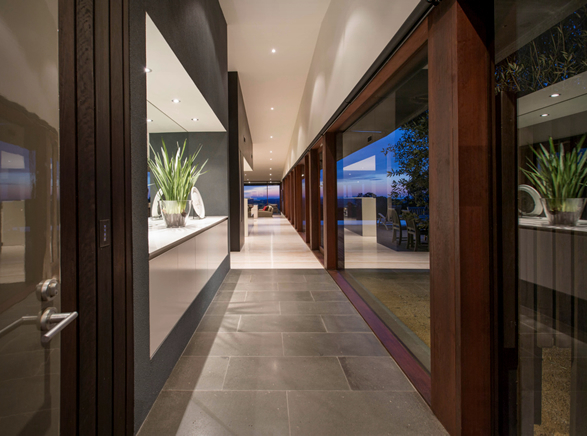 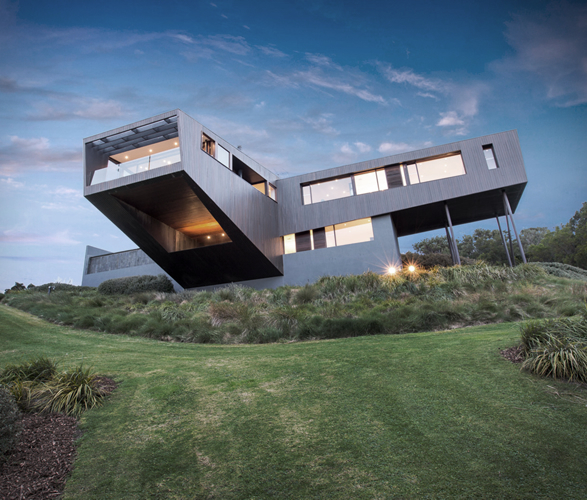 The 4,300 square-foot contemporary house is as dramatic as the surrounding landscape of Cape Schanck, in Victoria Australia. 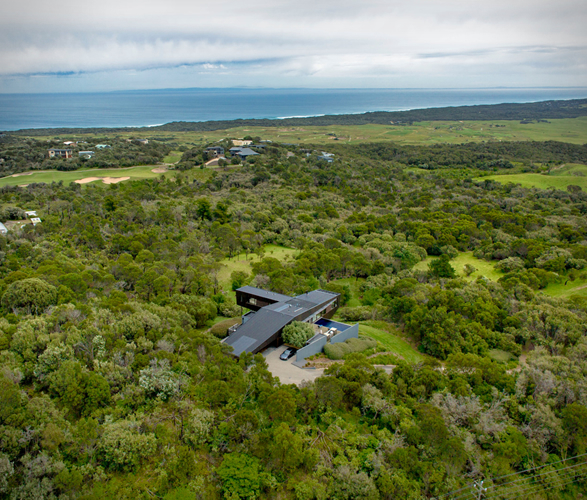 The visually stunning bi-level residence sits on a high dune amongst dense coastal ti-tree shrub with expansive western views, and has 10 acres complete with bore fed indigenous gardens, and a private golf buggy track leading down to the neighbouring national golf club. 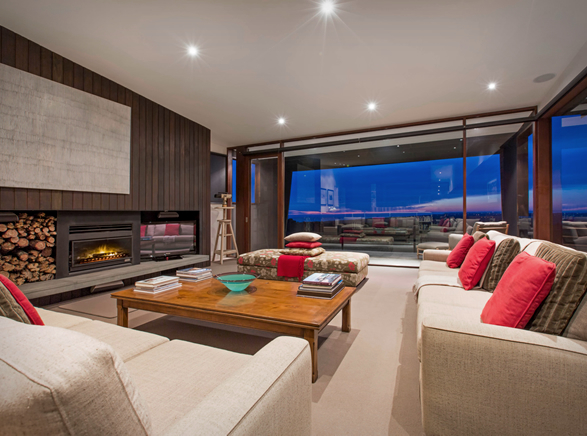 The living areas are split between two levels, the top level branches dramatically over a cliff and includes the main living area with floor to ceiling windows, an open fireplace, and a dedicated master wing that boasts a large executive study. 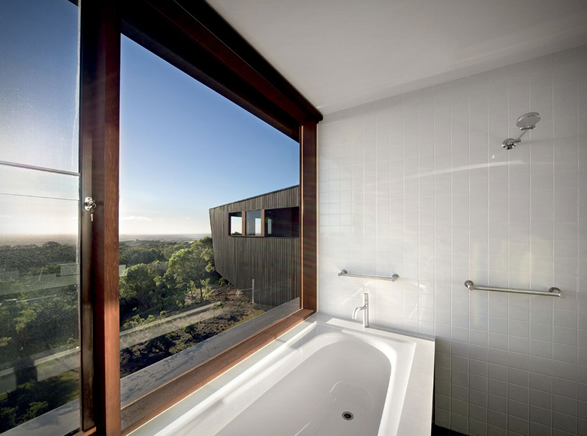 The homes lower level offers two fine bedrooms, additional living space with private viewing deck and an extra bathroom with walk-in shower. 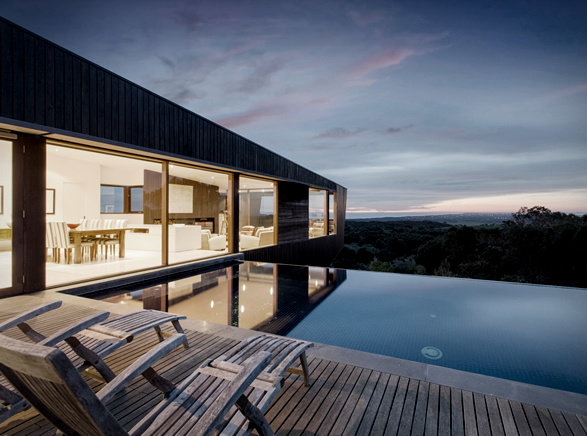 The main attraction however is the mind-blowing infinity edge reflection pool.